Incubators & Accelerators – as the name suggests, these setups incubate the pre-product idea. They precede the seed funding stage and help the entrepreneur develop a business idea or make a prototype by providing resources and services in exchange for an equity stake, which ranges from 2-10%. 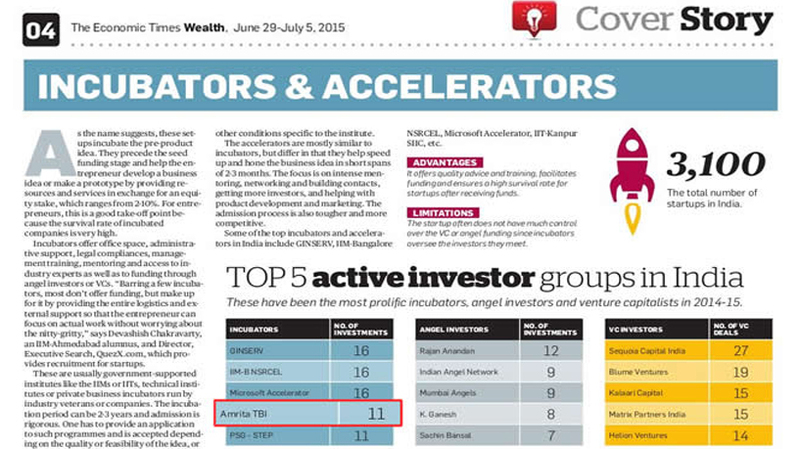 For entrepreneurs, this is a good take-off point because the survival rate of incubated companies is very high. Incubators offer office space, administrative support, legal compliances, management training, mentoring and access to industry experts as well as to funding through angel investors or VCs. “Barring a few incubators, most don’t offer funding, but make up for it by providing the entire logistics and external support so that the entrepreneur can focus on actual work without worrying about the nitty-gritty,” says Devashish Chakravarty, an IIM-Ahmedabad alumnus, and Director, Executive Search, QuezX.com, which provides recruitment for startups. These are usually government-supported institutes like the IIMs or IITs, technical institutes or private business incubators run by industry veterans or companies. The incubation period can be 2-3 years and admission is rigorous. One has to provide an application to such programmes and is accepted depending on the quality or feasibility of the idea, or other conditions specific to the Institute. The accelerators are mostly similar to incubators but differ in that they help speed up and hone the business idea in short spans of 2-3 months. The focus is on intense mentoring, networking and building contacts, getting more investors, and helping with product development and marketing. The admission process is also tougher and more competitive. It offers quality advice and training, facilitates funding and ensures a high survival rate for startups after receiving funds. The startup often does not have much control over the VC or angel funding since incubators oversee the investors they meet. How to avoid funding rejections. Despite the deluge of online advice on securing funding for a startup, many entrepreneurs falter at the first step. Their ill-planned and half-baked approach gets them instant rejections. Follow these steps to ensure you don’t fail. Getting funds from across the country is easy, but pay attention to proximity. Once you start operations, it will be easier for a local investor to monitor and add value, especially in the early stages. While shortlisting VCs or angel investors, find out their area of expertise or preference. It will not help if they favour funding biotechnology ventures and you are pitching a travel app. There are firms that provide funds only for a specific stage of a startup, be it the seed stage, growth phase or late stage development. So if you approach a VC, who backs a late-stage venture, when you require seed funding, a rejection is guaranteed. Individual investors or VCs may have caps or limits for funding. If you are looking for a bigger sum, putting in the effort to contact an angel with a low funding limit will be futile. So check for a funding match.. When you have zeroed in on a few firms, make sure you know everything about them—track record, promoters’ past, firms they have funded. Talk to people in the industry, check the Internet, scan their brochures. Seek an introduction via a credible intermediary, be it an entrepreneur they have funded, a renowned professional who is a common acquaintance or former professors. Make sure you provide a proper briefing to the person. This is the most critical step as investors get thousands of plans and rejection rate is high. So make a concise, error-free plan. List the idea, product, its growth potential, USP, existing market dynamics, team members and their calibre, completed product and beta customers. If your plan passes muster and a meeting is set up, be prepared to answer all questions. Be precise, sure and ready to cover any aspect the investor may want to discuss.